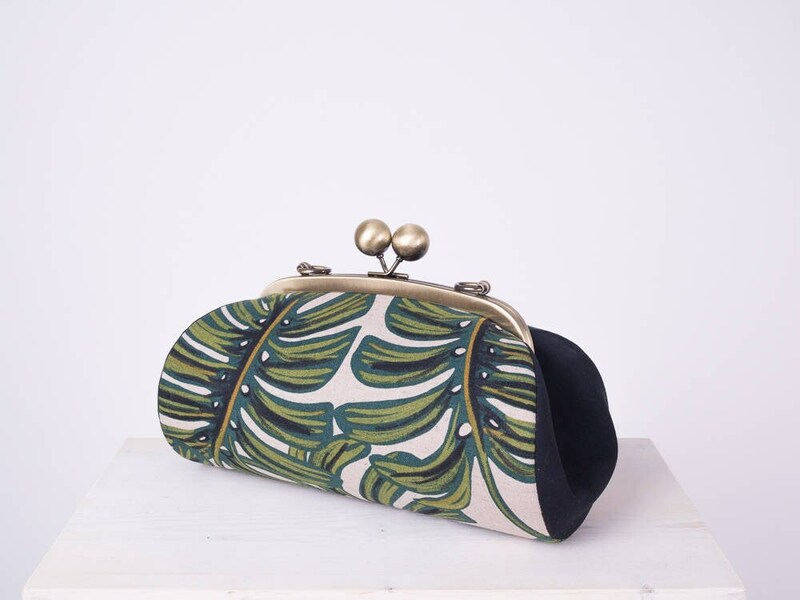 This kiss lock clutch purse is stunning and timeless with its beautiful tropical leaf patterned fabric designed by Rifle Paper Co. for Cotton and Steel. Its size is more than enough to hold all your essential belongings such as keys, phone, make up, and even a small bottle of water. 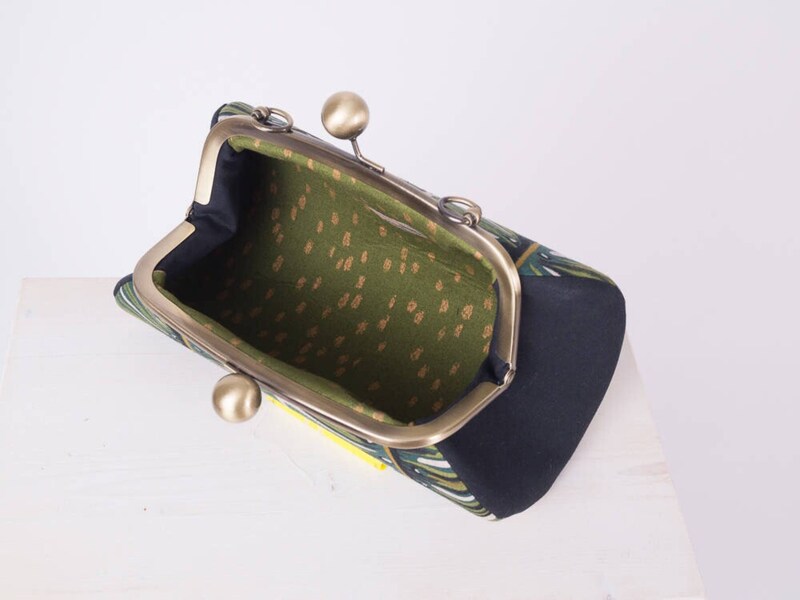 + Exterior: Canvas Fabric designed by Rifle Paper Co.
Is it a treat to yourself or a gift to your best friend or sis? It doesn't matter, I put your bag into a box with a muslin protection tote. 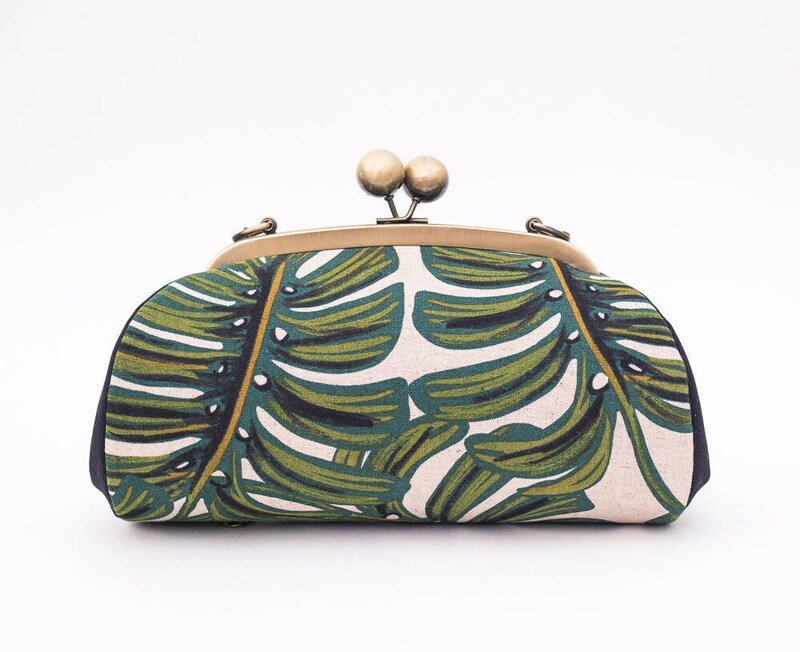 And if you want me to send it directly to the recipient of your choice, please leave me a message with the recipient's address and your special note to her in the 'notes to seller' at checkout. Oh my. 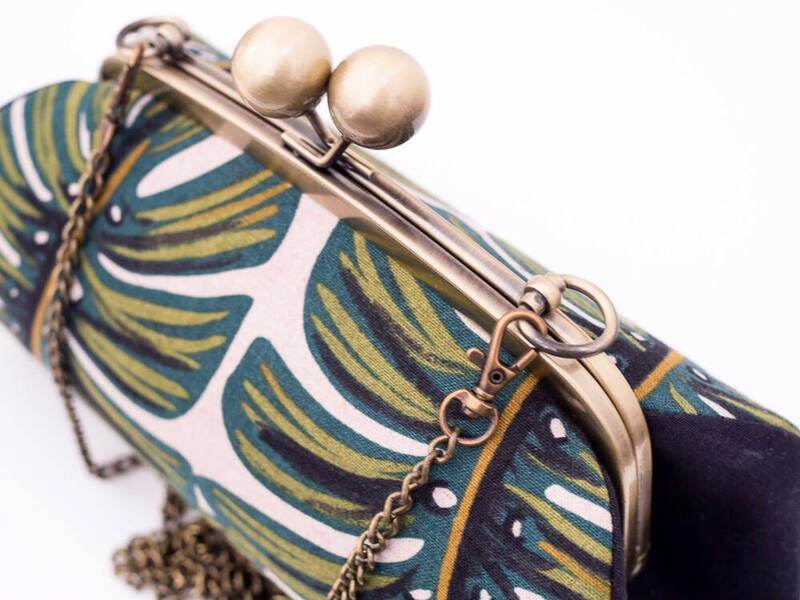 These purses are to die for. I have 3 saved that I need to order for Christmas gifts. Right size!! So unique and well made!! And she sent a coupon :). I love!! Got this as a birthday gift for my best friend, whose from the Virgin Islands, I know she’s gonna flip. Quality is amazing. She works in fashion, so I know this’ll be a fun piece for her.